Have you heard of Ariat Boots? Well, you have now! Ariat Boots are the best of the best due to being driven by world class design, innovation and technology. 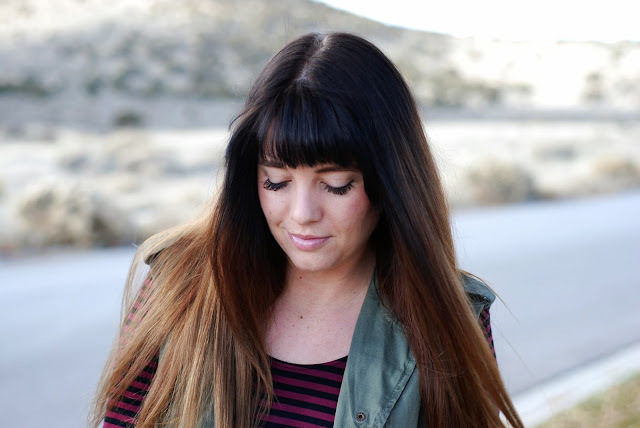 Looking through their boots online, I feel inspired. These boots are gorgeously designed through their classic equestrian heritage, making these (and all their other boots) classically timeless and beyond perfect. Wardrobe staple anyone? (duh, obviously). I have never owned a pair of real leather boots until now (don't judge me, sheesh). The feel and smell of these leather boots was a whole new experience for me. Christmas came early this year people! The quality of these boots is spectacular. Spectacular as in, they seriously fit like a glove and I can tell you this is not a common occurrence. These were made for me, a gift from heaven. Boot heaven (there is such a thing, I know it)! Now that you are dying to get a pair, Ariat is giving you the chance to win a pair! See giveaway details below! The contest will be hosted on Ariat’s Facebook page HERE and entrants will enter their information for a chance to win. Have a great Sunday/Monday... P.S. It's almost Thanksgiving, yay! 14 comments on "Boot Heaven featuring Ariat Boots"
Great outfit and the boots look awesome with it! so glad you commented so I could find your blog back!! I love your style and totally following so I can get the updates... I don't have instagram - yet... hopefully by the end of the year haha i know I am a few years behind! 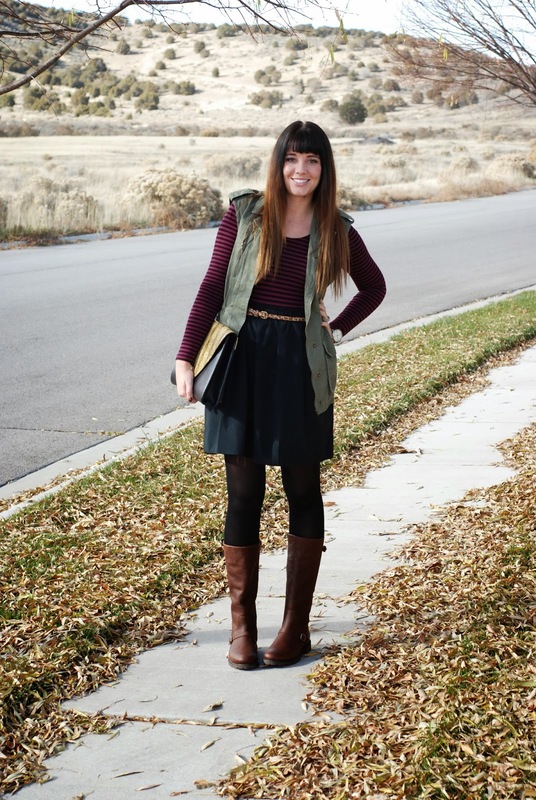 These boots look so comfy, love how you styled the look with this vest! Such a cool giveaway-perfect for coming holidays!!!! and I love your vest. 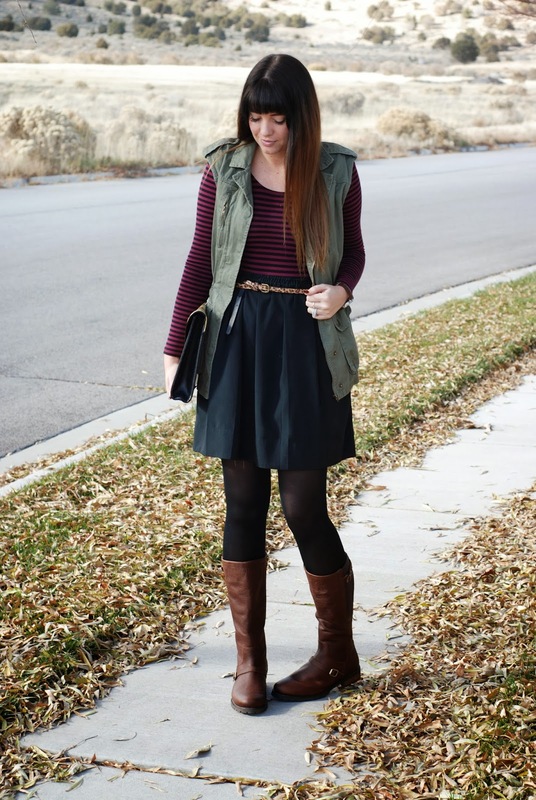 Easy chic and what better way to wear tall boots than with a cute skirt like this one?! Love the fantastically chic styling of this outfit, so many great classic pieces brought together in one great look! Such an adorable outfit and I love those boots! 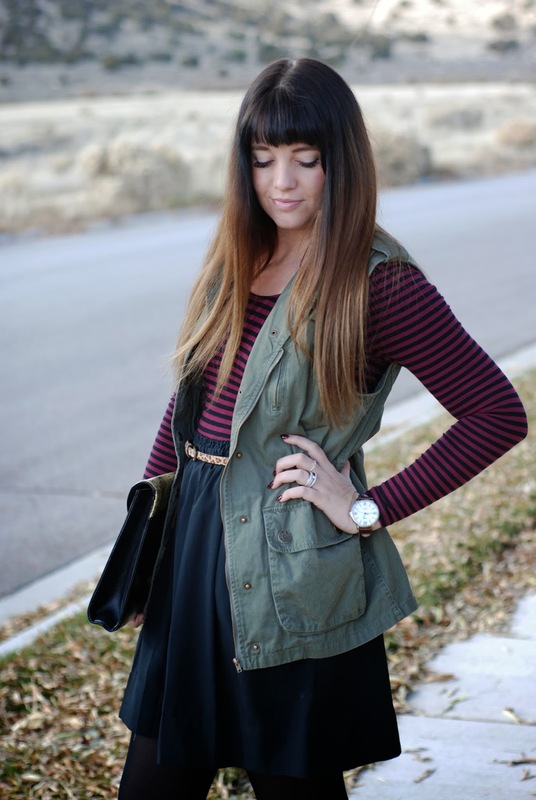 love this look and the vest to top it off! this outfit is perfection! love the mix of colors.